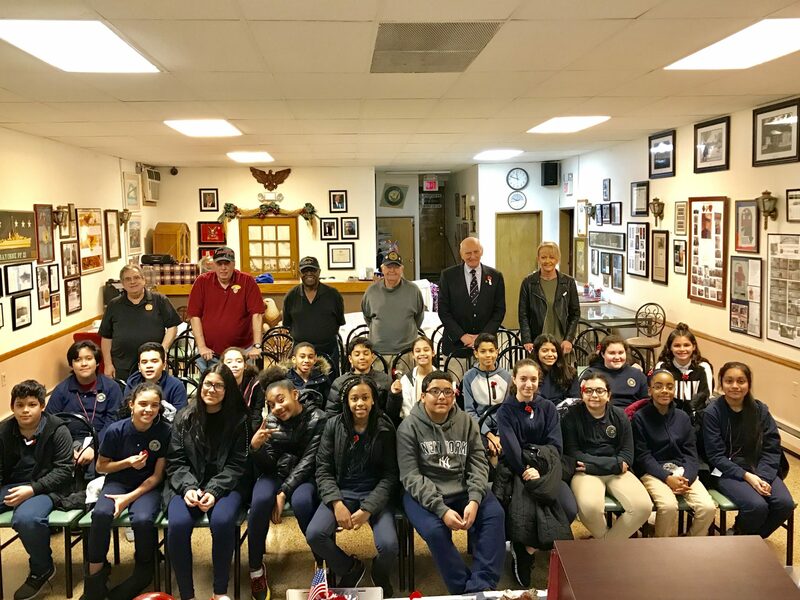 VISITING THE VETERANS MUSEUM — John M. Bailey 6th graders and Teacher Diane Ingles enjoy an enlightening program with veteran speakers Commander Glen J. Flora, John Scafidi, Louis Rowan, Chuck Gallagher, and Mayor Richard Rutkowski. Uniformed mannequins, photographs, wartime memorabilia adorn the museum walls. Many Bayonne veterans are proudly on display along with accounts of their military experiences!